Invelos Forums: Custom Cover Art for use locally. Custom Cover Art for use locally. There's a similar thread over at Blu-ray.com where people post custom cover art they've created. I thought I'd start a similar thread here for those interested. Just please make sure not to post cover art which you did not author. Also keep in mind that custom cover art should not be contributed to the Invelos Online Database. In any event, I'll get things started. See below. 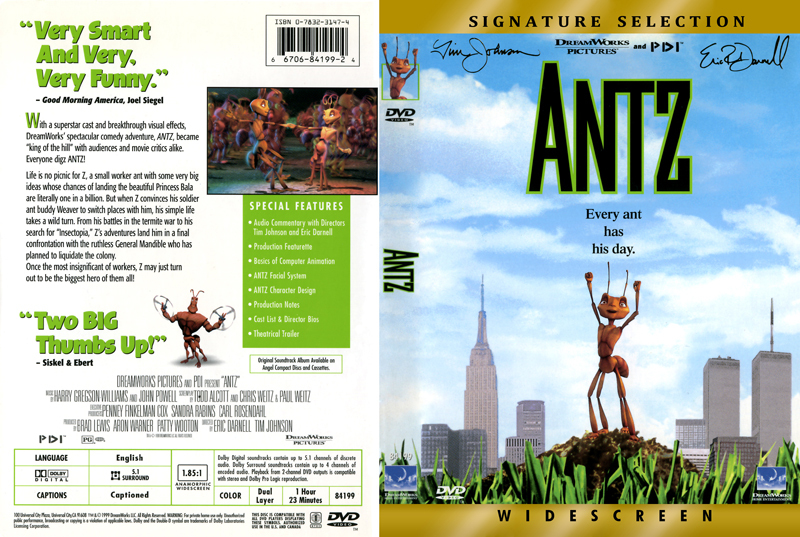 The title Antz was released on Blu-ray this week. I pre-ordered the title, but didn't care for the cover art at all. 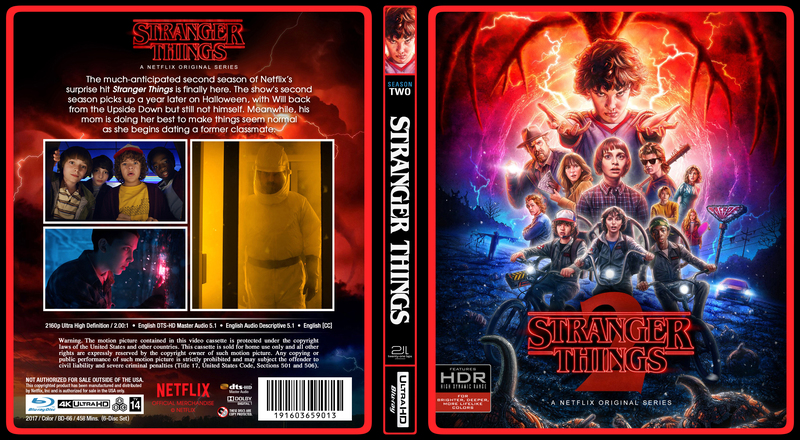 I liked the original DVD cover art much better, so I spent a couple hours the other day converting the original DVD cover art over for use as a Blu-ray cover. Results shown below. For DVD Profiler I use smaller images of the front and back portions. They're still quite a bit larger than what the Invelos Online Database uses with respects to retail covers though. The front and back cover images I'm using locally with DVD Profiler provided below for those interested. If this type of thread is discouraged here my apologies. It can be deleted if need be. I did read the forum rules before posting, but you never know. Thanks! Season 2 of Stranger Things is coming out on UHD/Blu-ray/DVD this Tuesday coming up. Retro VHS style packaging will be used again as was the case with Season 1. For those that prefer to house the discs in regular Blu-ray cases I've worked up some cover art which can downloaded below. I'm using posters I found online for the front portion of each. Added the Netflix credit myself. The same title treatment is being used for the back portion. Note also that the title treatment for the spine is using the correct font. The red framing I'm using is a nod to the RCA VHS releases of days gone by. The back portion of each closely follows the layout and details offered on the retail packaging with a couple twists. 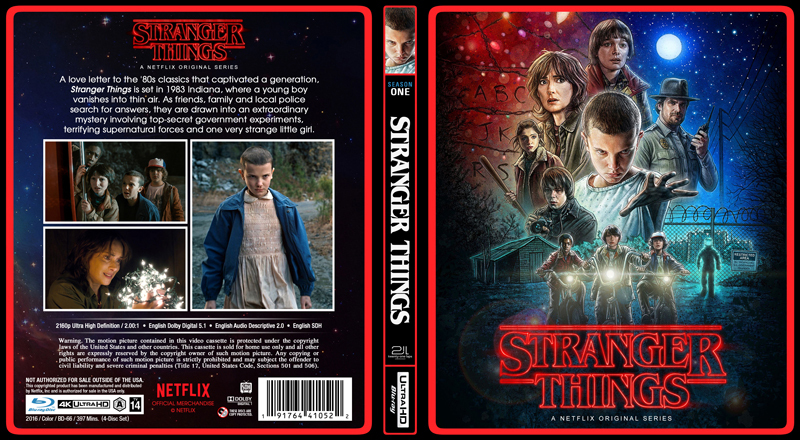 The spine is intended to be somewhat reminiscent of the spine of a VHS tape insofar as how I've segmented the top and bottom areas leaving a defined area in the center for the label. In any event, these were fun to put together. Feel free to download any of these for use locally. (Front and back images available on my DVD Profiler based websites. See my forum signature.) There are two versions of the cover art available below. I've worked up versions with 15mm spines for use with cases that can hold 4-6 discs. I've also got versions with 11mm spines for use with cases that can hold 2-3 discs. Enjoy!